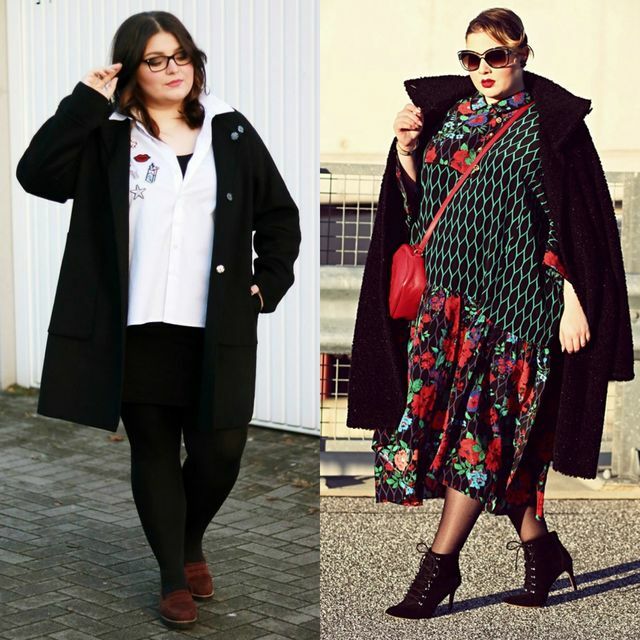 Well, I’ve tried to find on the internet, pictures with some plus size fashion ideas. Why? Because not all of us are models. In fact, most of the women on this planet have curvy silhouettes. Besides, we all should look gorgeous, no matter what size we have. 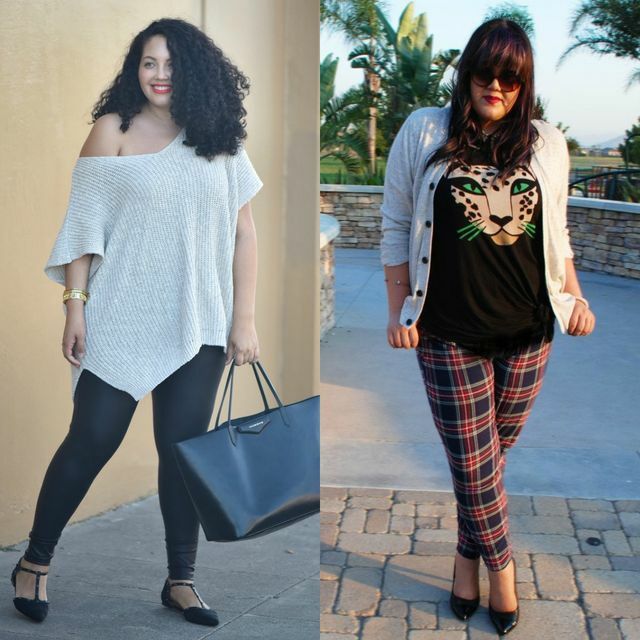 And that’s how I’ve reached out to the coolest curvy fashionista bloggers. 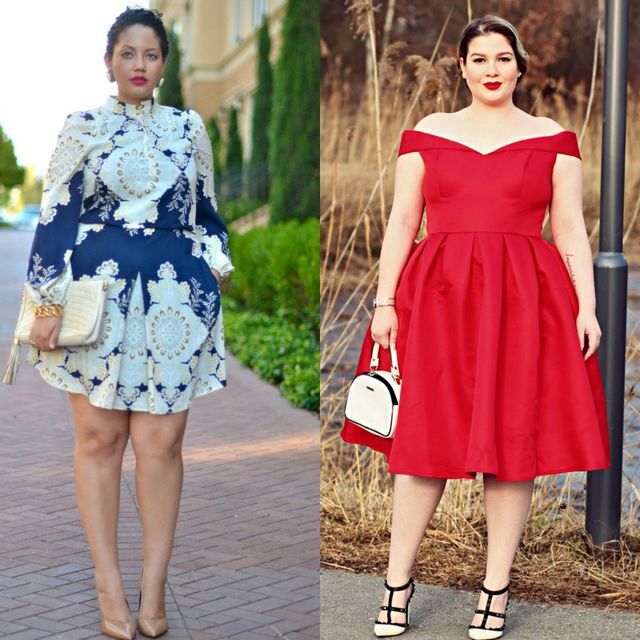 You have to take a look at these stunning plus size fashion ideas for ladies!!! 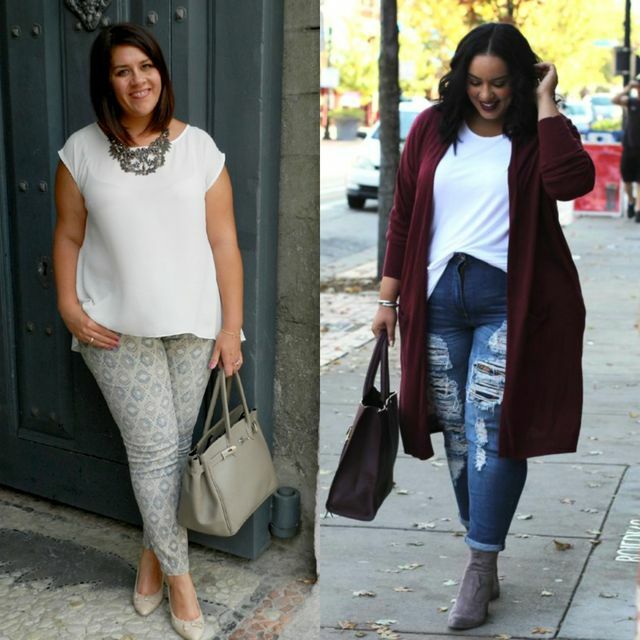 This year’s trends are versatile and challenging, especially when we talk about plus size fashion. And that should encourage us to refresh our wardrobe and sport items that accentuate our femininity. 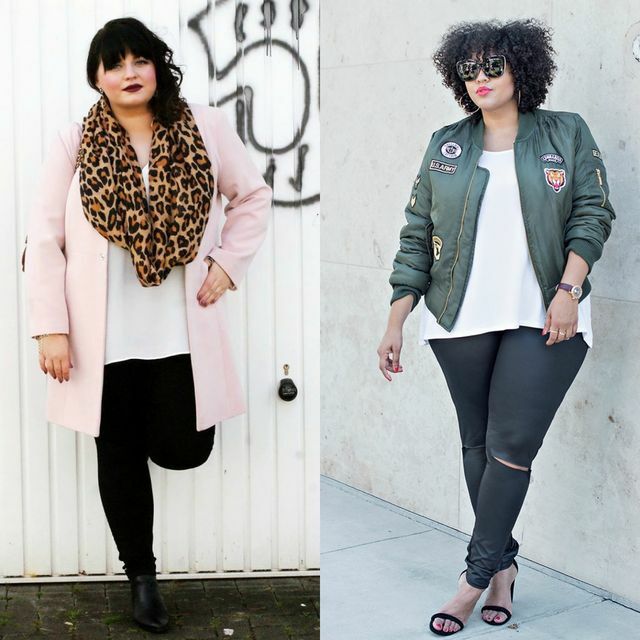 You have to experiment some of these sensational plus size outfits !!! It doesn’t matter if you are a casual person or you prefer the business casual attire. 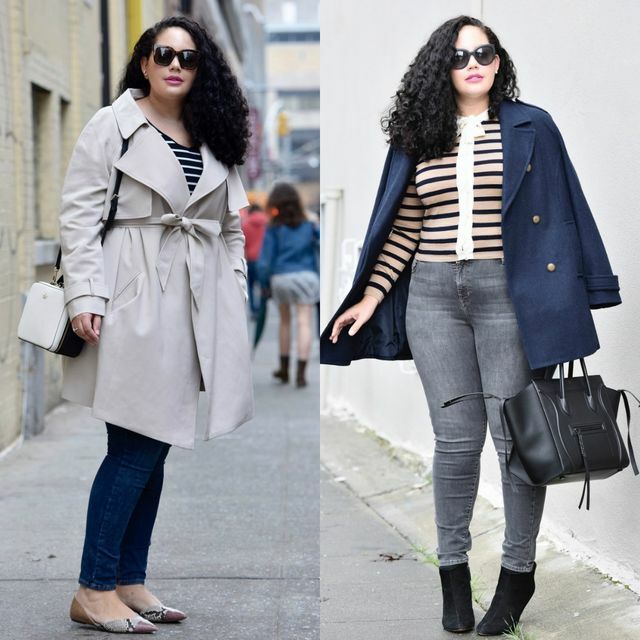 You’ll find here different proposals for plus size outfits, proposal that are easy to wear at the office or plus size jeans outfit ideas to wear on the street, at shopping or outfits with leggings for plus size ladies. With a bit of luck we’ll have numerous days with higher temperatures this year. 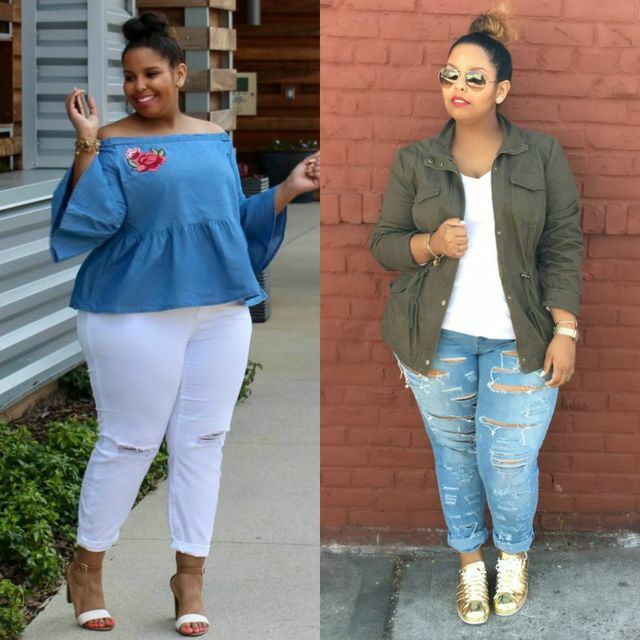 The warm weather allows you to embrace the newest plus size casual fashion skirts, pants and dresses trends. Take a closer peek at the examples we’ve selected from A-list street wear fashion gurus. 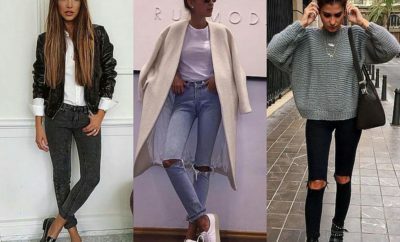 Thin sweaters in gorgeous shades like dark blue or burgundy and also with prints can be easily associated with a pair of skinny or boyfriend jeans. In addition, you have the midi skirt and relaxed knit or denim dress craze which guarantees the success of your day or sporty outfits. Think of accessories according to the visual effect you want to achieve. Romantic and girly ensembles scream for heels or platforms. On the other hand, in the transition period you can also sport ankle and even knee-high boots. 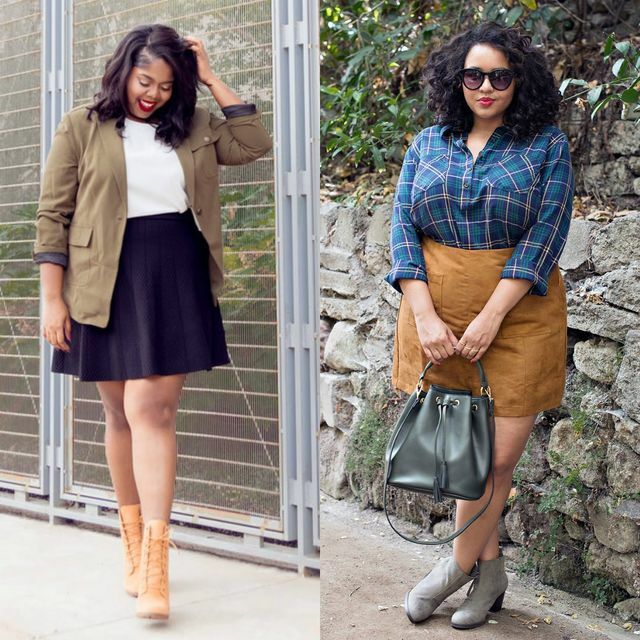 Here are some plus size outfit ideas that might inspire your choices. Formal attire is very important, however, you may need everyday outfit ideas more. 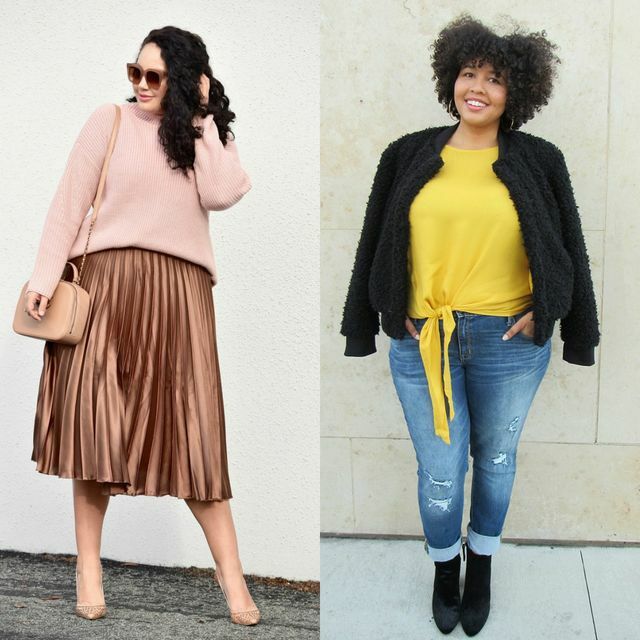 Plus size fashion captivated our attention especially due to the fact that with a pretty face and confidence these women can nail down literally all the modern trends. 🙂 If you decide to say no to the ‘rulebook‘ imposed by limited stylists make sure you experiment with the cropped top trend paired with high-rise jeans or pants. Also we advise you to go for flirty and not too baggy ponchos, cardigans and bomber jackets. Opt for bottoms that make you feel comfortable. Be it skinny or flared, learn a few basics to bring out the best from your look. 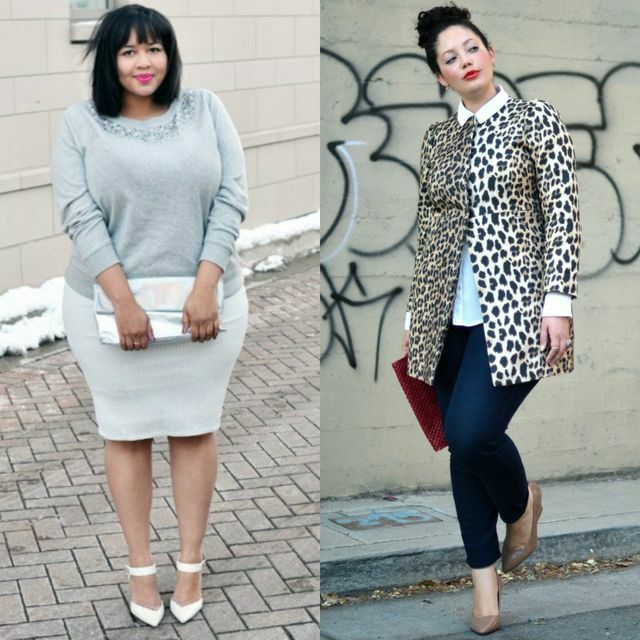 See the images below with plus size fashion ideas, for more inspiration! 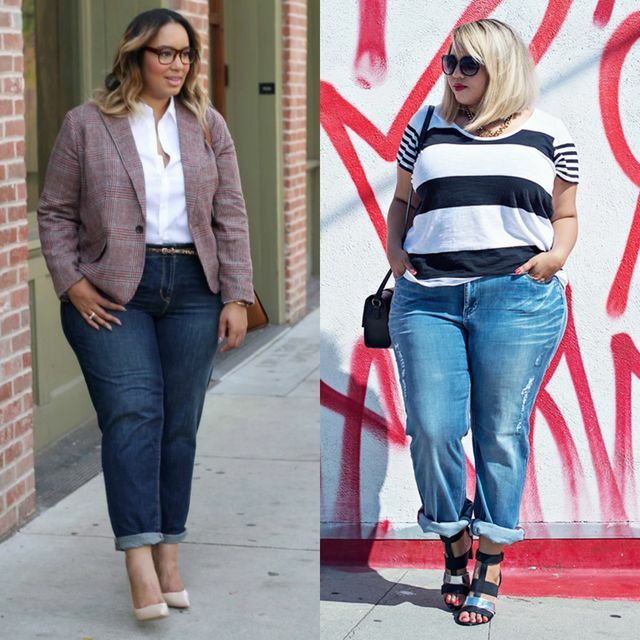 Plus size fashion ideas from this year, made room for almost all the mainstream jeans trends from the runway. Traditional or distressed skinny pants are still ‘in‘. In addition, we have patched, boyfriend and mom jeans that help you diversify your clothing style. 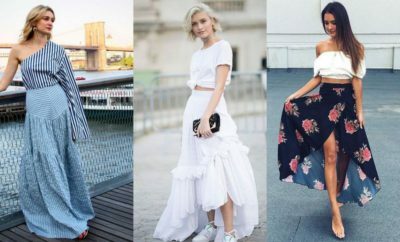 Last but not least, there are flared pants that look stylish if you match them with off-shoulder tops or chic T-shirts as well as wedge or block-heel sandals. Black or dark blue is a top option, furthermore, you can also experiment with lighter or pastel shades and even white. Let the examples below convince you of the freedom of choice you have for this year. Seeing trends on the catwalk is one thing. Sporting the same items and tendencies in real life is another. Besides admiring the ‘it’ girls from the street or fashion shows we should definitely consider changing our perspective. 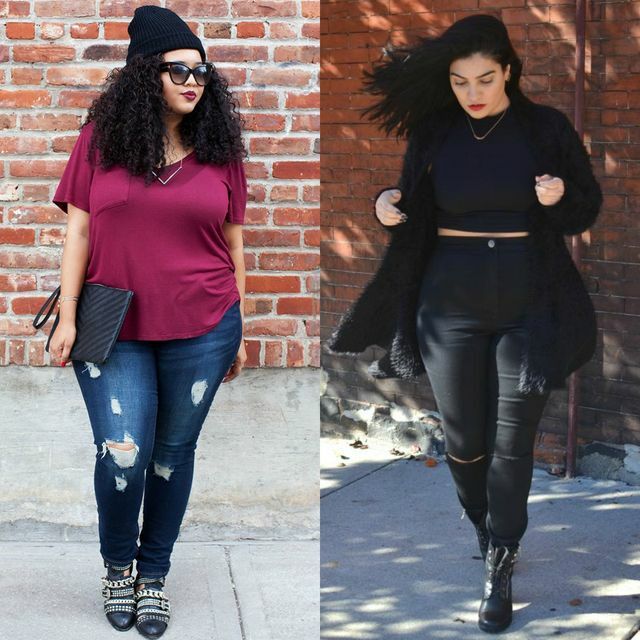 It’s time to emphasize your curves by wearing leggings. 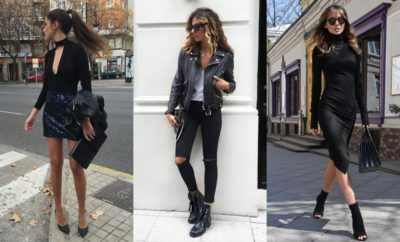 Black cotton or leather pants create a slenderizing effect and can be mixed with all kinds of tops and shirts. Complete your daily sets with nice stilettos, peep-toe boots or sandals. Heels will contribute to the optical slimming project. For a youngish and pop look go for printed leggings! 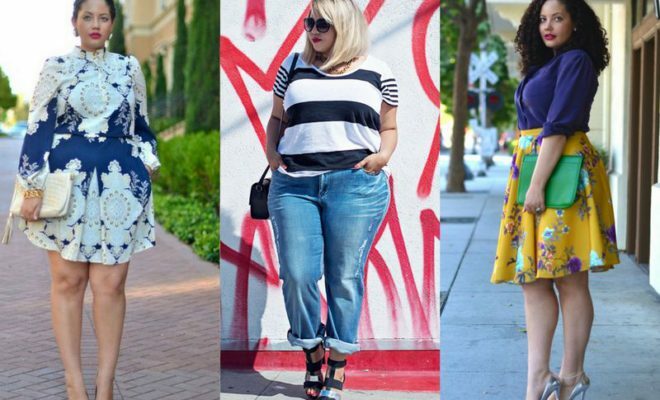 Plaid, vertical stripes, galaxy and floral patterns are among the favorites of fashionistas who promote the plus size fashion ideas. 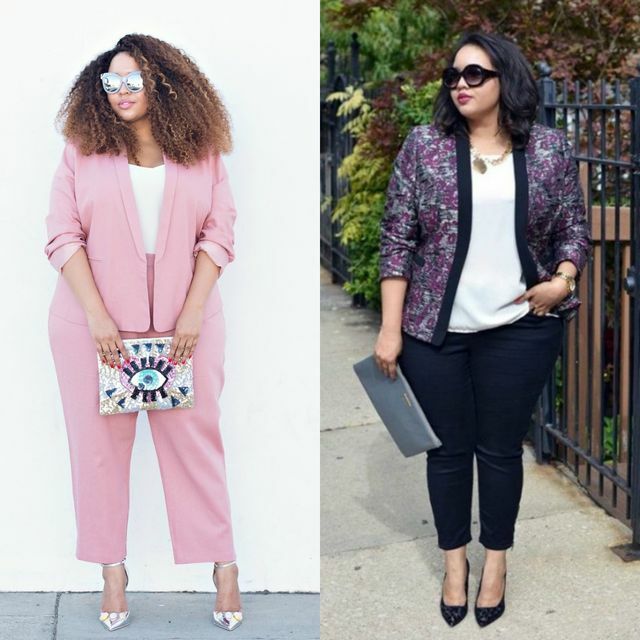 Plus size business casual ideas, as the ones below, add more personality to your work ensembles. Instead of the classy pencil skirt, this season go for a contemporary and stylish combo of cropped pants or jeans a nice top and a fab blazer. Pant suits in the loveliest powdery shades are also recommended. Choosing according to the dress code established at your job is essential. If you are lucky you can sport comfy and relaxed sets like the pairing of knit skirts and refined sweaters, topped with ballerina flats. Ponchos and mid-length trench coats proved to be the coolest outerwear designs. 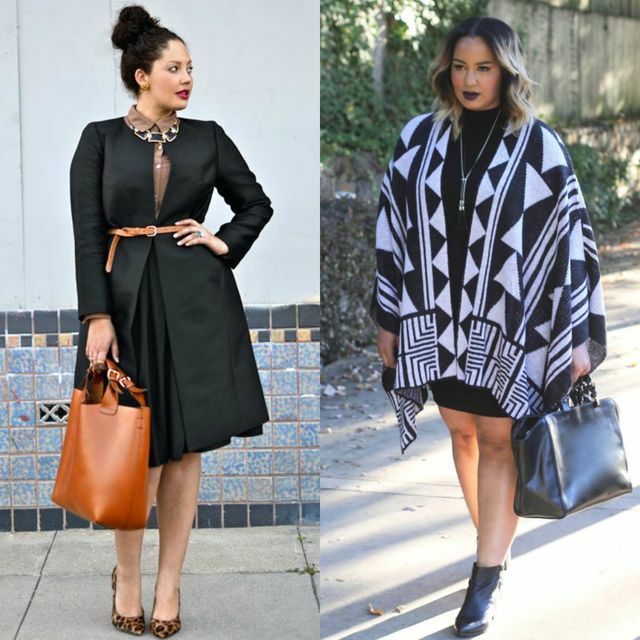 Plus size fashion from this year, allows you to have fun and juggle with shades and tailoring trends. Off-shoulder frocks created a huge buzz among trendsetters. Exposing a little skin helps you get through the hot spring and summer days. 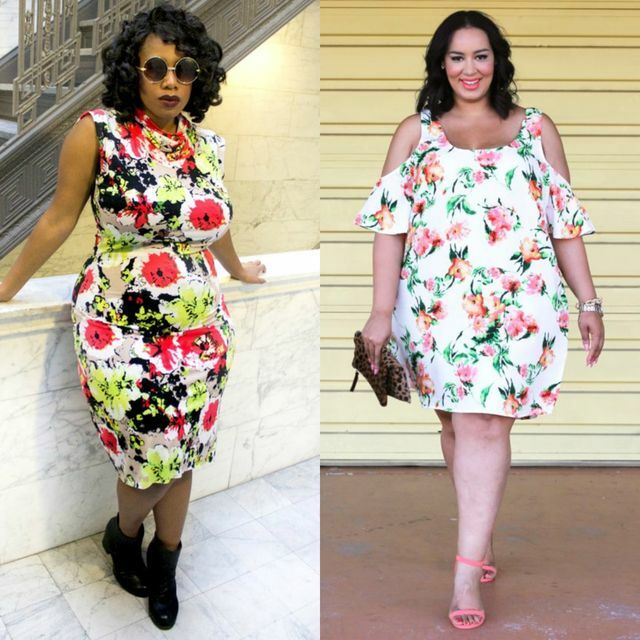 Also, we have floral prints body-conscious and flared dresses perfect for a vacation or a weekend outing. We’ve also spotted a few midi long-sleeve designs with various artsy patterns that flatter all silhouettes. It’s easy to fall in love with the mixing and matching of these items with ankle boots and strappy or cut-out sandals. 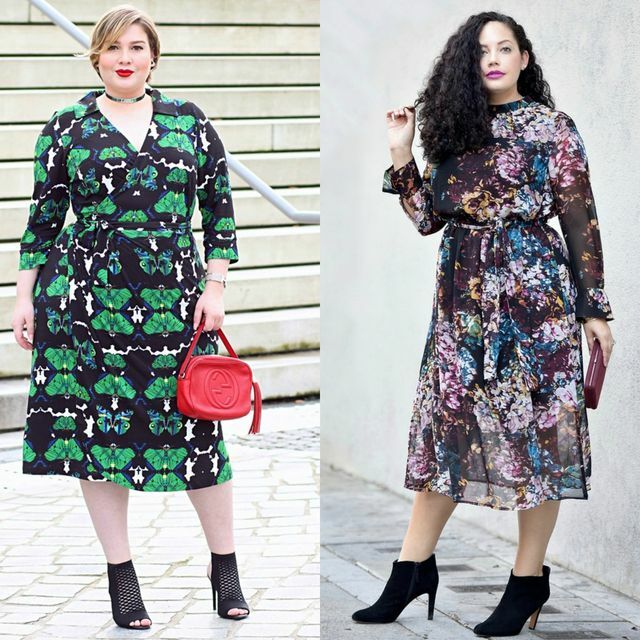 Fashion know-it-alls suggest you to invest in midi and plus size maxi dresses for summer to have a few style staples for the festival and travel season. 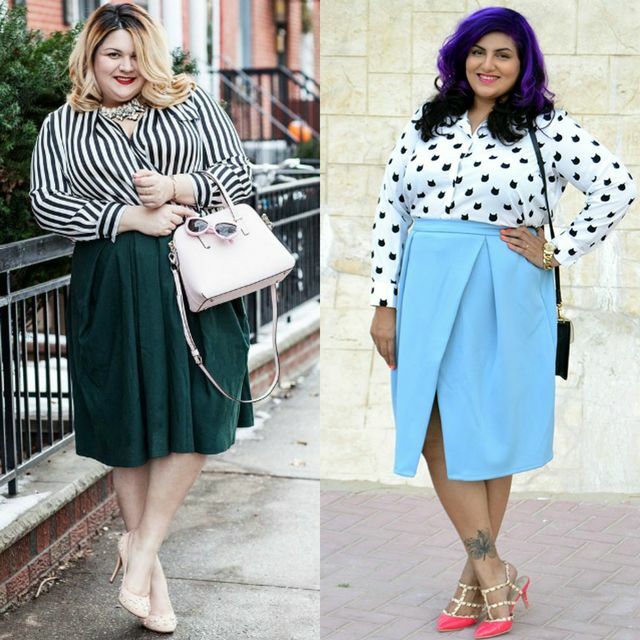 Prepare to see similar plus size fashion ideas on the streets. The key to putting together a glamorous set is to learn a few basic tricks when selecting the perfect frock. 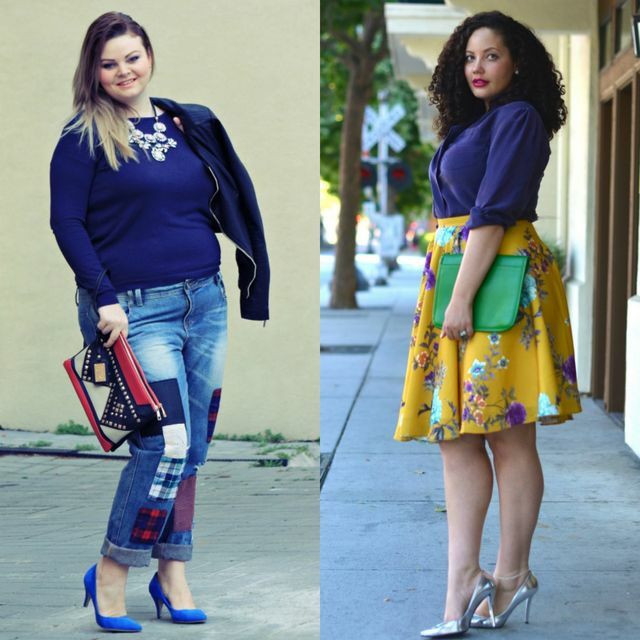 Trendy plus size fashion experts rely on the slimming effect of an empire waist. This gorgeous detail attracts the attention to your mid-section and allows you to create the impression of an hourglass figure. This golden rule is valid both for mini sleeveless dresses as well as midi and maxi short- or long-sleeved frocks. 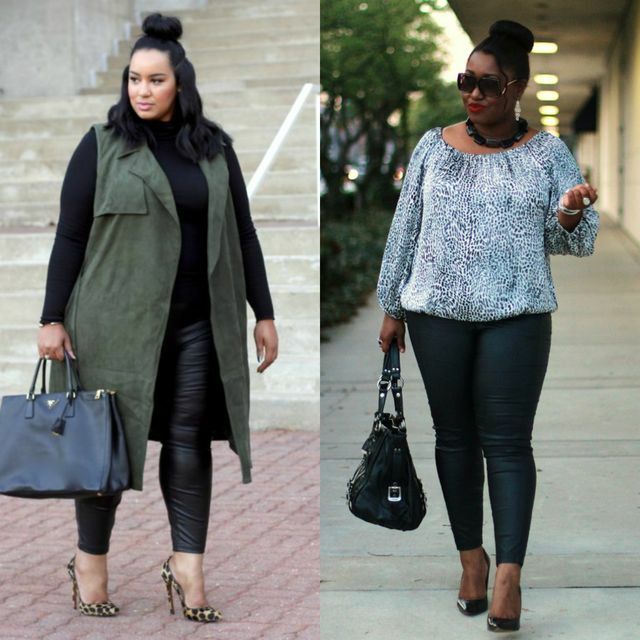 Top the loveliest plus size fashion ideas with a pair of ‘hip‘ ankle or knee-length boots. Velvet, suede and even leather are among the top options suggested by experts. 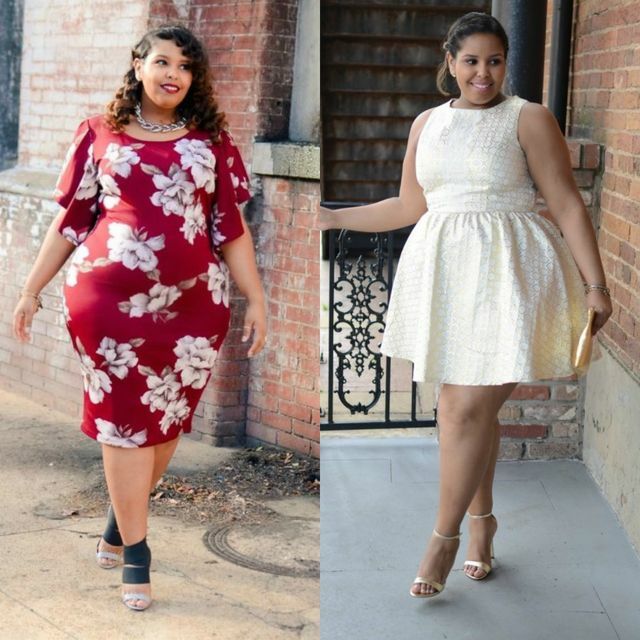 Designs with block-heels flatter a curvy silhouette more than stiletto heels. The weather during the transition period is still unpredictable. Therefore, you should not put aside your cold weather footwear yet. Romantic printed dresses, denim or leather skirts and even leggings look spectacular when combined with boots in neutral and earth tones. Go for the classy designs with laces and side zippers or experiment with more extravagant items decorated with golden or silverish studs and chic fringes. 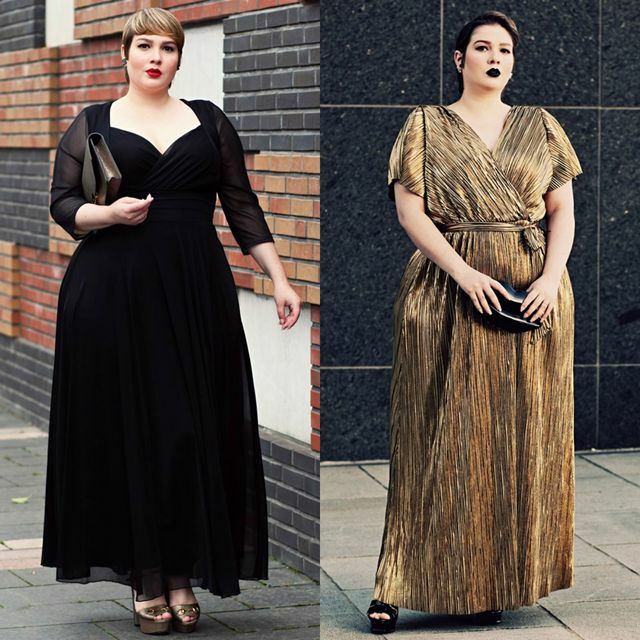 A-list fashion influencer managed to offer us a few timeless plus size outfit ideas. Tops in general play an essential role in the styling process. For this year we recommend you to purchase a few multi functional printed shirts. Vertical stripes, polka dots and other ‘hip’ patterns scream creativity and diversity. 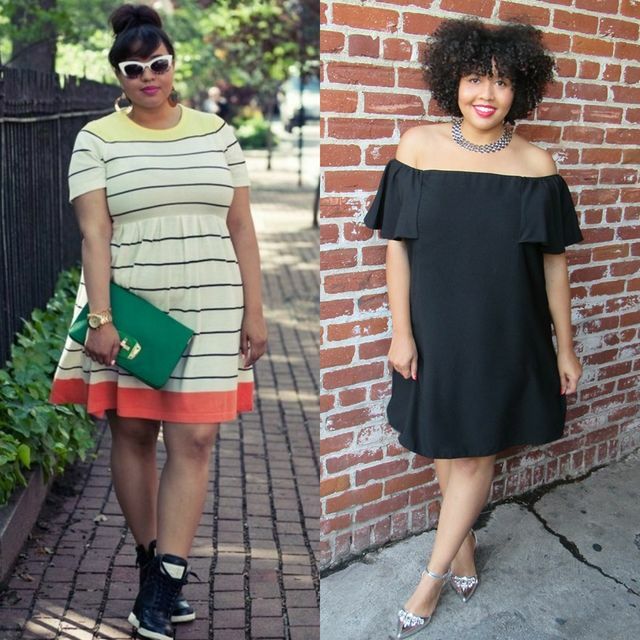 Mix these tops with midi skirts, shorts and jeans. In addition, you can also rock cropped or short tops in a combo with high-waist pants and skirts. One of the trickiest and most challenging trends is the off-shoulder blouse trend which might seem hard to nail down at first. 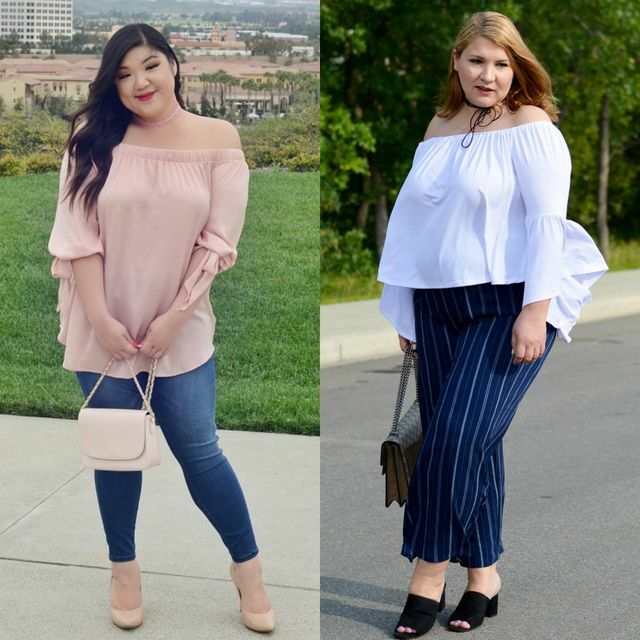 These fashionistas demonstrate the modern and summerish twist these tops can add to your sets if you pair them with the right bottom. We have a strong feeling that you’ll sport pants more frequently during the transition period than dresses. 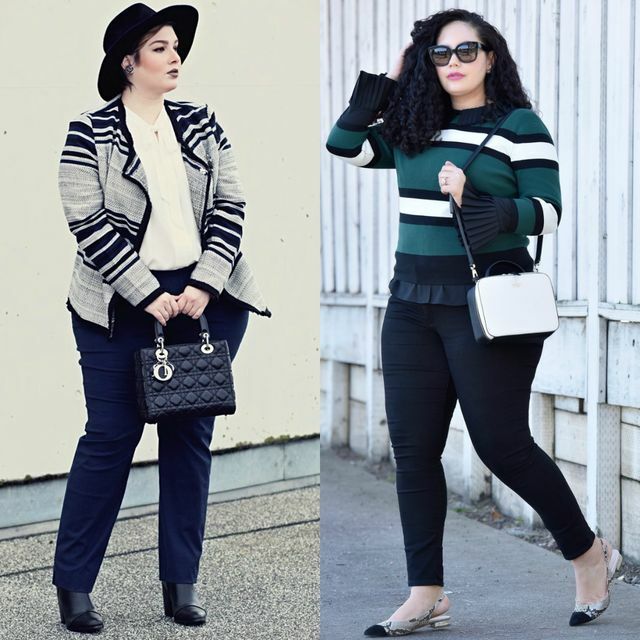 As a consequence, our team decided to spy on a few trendy plus size outfits with trousers. 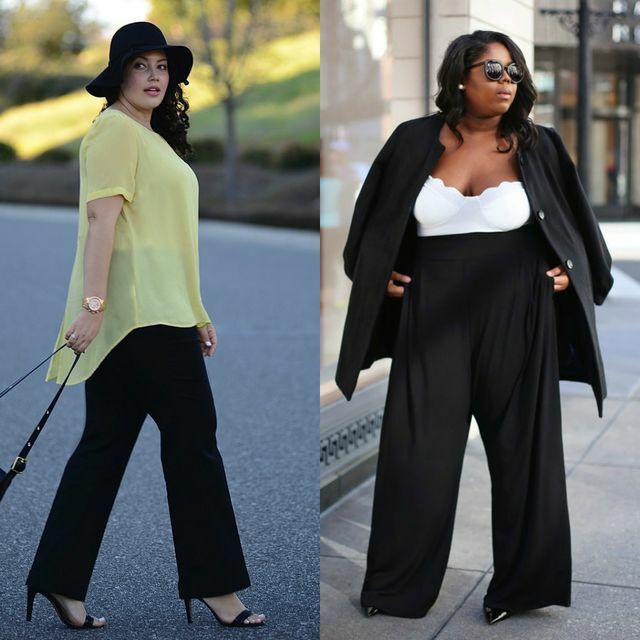 Flared pants look extremely stylish if you associate them with tight tops and a pair of pumps or high-heel sandals. Also, you can embrace the cropped pants tendency which radiates confidence and trend-consciousness. Our seasonal report can’t be complete without the skinny or straight-leg pants that solve your outfit dilemmas both during the working days and also in the weekend. 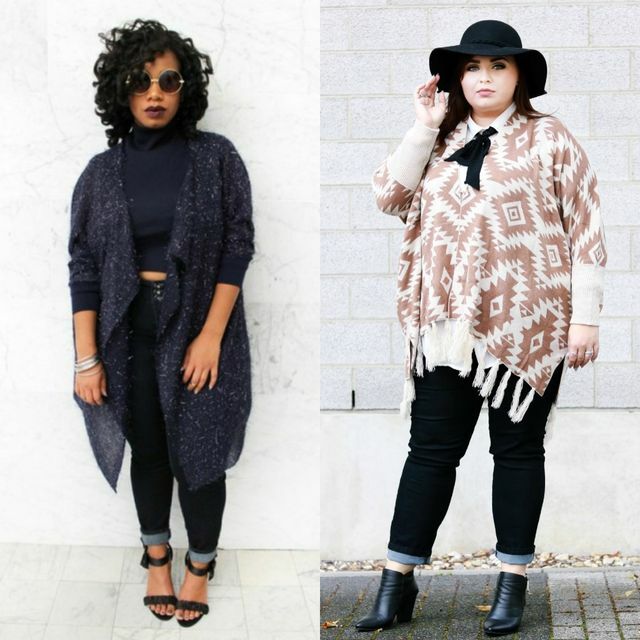 Here are some plus size fashion ideas that might inspire you! very pretty outfits! 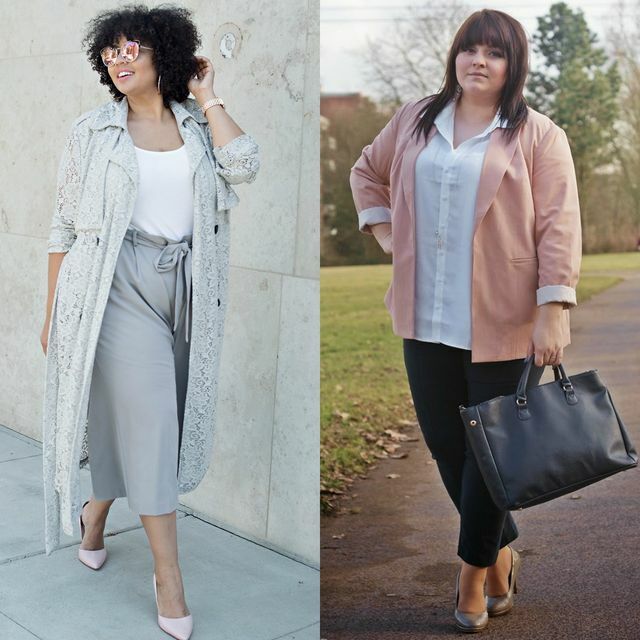 In fact I’d wear each look myself even though I’m not plus size! very nicely styled! Thank you Lyosha! 🙂 I’ve seen your pictures. You are certainly not a plus size women. Thank you for your comment. :) !!! I love the pleated metallic skirt, so lovely!